The Modi government has further launched a number of schemes for achieving sustainable agricultural growth. The focus is now on the “profitability” rather than simply the “productivity” aspect of farming. The most vital point of the ambitious goal to double farmers’ income (DFI) by 2022 — the 75th year of India’s Independence — set by the Prime Minister Narendra Modi is the paradigm shift in the agricultural policy space that it entails. The focus is now on the “profitability” rather than simply the “productivity” aspect of farming. The Modi government has further launched a number of schemes such as Pradhan Mantri Krishi Sinchayee Yojana, Pradhan Mantri Fasal Bima Yojana, Soil Health Card, Neem-coating of Urea and e-NAM (electronic National Agriculture Market) for achieving sustainable agricultural growth. This article focuses on a few broad actionable strategies that the Centre as well as state governments may prioritise in order to make DFI a reality. There are many reforms — relating to agricultural marketing, warehousing, land leasing, contract farming, etc. — that have been recognised as key to meeting the DFRI objective. Similarly, replacing open-ended subsidies with direct benefit transfers for fertilisers and seeds would not just help target the right end-users and plug pilferages in the system, but also promote more efficient and judicious application of these inputs. 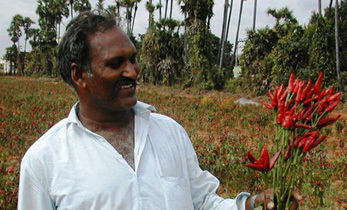 In addition to these are issues concerning revitalising the farm extension network, skilling youth for setting up scientific agri-food system enterprises, strengthening the institutional credit structure, improving post-harvest management and promoting farmer producers’ organisations/companies (FPO/FPC). Agriculture in India is a state subject. Past experience shows that no agricultural development on the ground is possible without meaningful interventions by state governments. To bring them on board on the above institutional and governance reforms, which will align their policies to a broad framework and yet allow for adoption of state/region-specific strategies, there is need to convene a meeting of the NITI Aayog or the National Development Council. Such a meeting, chaired by the Prime Minister and with all chief ministers in attendance, would provide necessary impetus to the process – similar to what the GST Council has achieved in the field of indirect taxation. 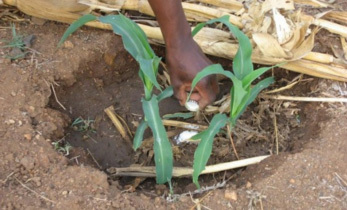 Adaptation and mitigation strategies to address climate change challenges have to be at the fore-font of any agricultural policy agenda today. Research, too, has to be designed to suit local crop ecology and promote sustainable farm management in terms of soil, water and energy use. Fortunately, a large gene pool is available in many crop species, which allows for breeding and developing new varieties/hybrids tolerant to multiple stresses, both biotic and abiotic. The rationale of climate-smart-agriculture (CSA) has to be appreciated by decision-makers and stakeholders at all levels. DFI by 2022 is not achievable, without making farmers resilient to climate change impacts and promoting CSA practices that sustainably increase their productivity and incomes. There can be no inclusive growth without nutrition security. That would entail a shift in focus from calorie intake towards delivering nutrition. The DFI initiative offers an opportunity to align even farm policies in that direction. 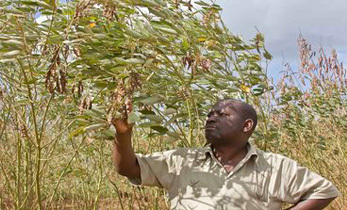 Neglected crops such as pulses and millets are fortunately now receiving attention, not only because of their high protein and nutrition-dense characteristics, but also for their climate resilience and low carbon and water foot-prints. Moreover, consumer demand and dietary patterns are slowly changing, creating a potential market for growers of these “smart crops”. The government should also move from a “cereal-centric” policy focused on subsidised procurement and distribution of rice and wheat to a diversified mix of nutritious millets and legumes. 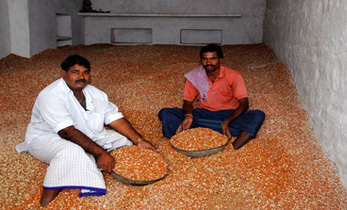 The recently launched National Nutrition Mission, procurement operations/buffer stocking of pulses, inclusion of millet-based food products in mid-day-meals programmes and additional incentives beyond support prices for growers of these crops in some states have sent positive signals that align farm policies to strategies for combating hunger and malnutrition. India ranks second in overall agricultural production, next only to China. But the country’s export basket hardly reflects its huge crop diversity and potential to generate a significant farm trade surplus. Without an open and stable farm export policy, there’s no predictability for farmers to access global markets and obtain the best possible prices for their produce. Movement to high-value crops (in protected cultivation, wherever possible), developing and exploiting the market for organic produce, creating farm export clusters, complying with international food-safety requirements, and doing away with multiple authorities for monitoring/regulating agricultural trade are the need of the hour. It calls for an aggressive agricultural trade policy. Farmers must be integrated into modern value chains that can raise their incomes and also minimise the risks arising from middlemen and markets. There should be integration of post-harvest, marketing and processing infrastructures, adding value and quality to the raw produce of farmers. Also, technologies suited to respective agro-ecologies need to be put in place here and demonstrated to growers whose produce can be aggregated through FPOs/FPCs. Use of ICT has been successfully tested for timely delivery of cropping, weather and price information to farmers. 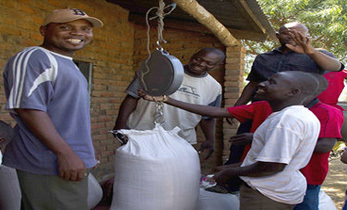 While information on markets leads to better price discovery and enables producers to capture a higher proportion of the marketable value, delivery of advisory services through digital and social media platforms can take care of the inadequacies of traditional farm extension delivery systems. 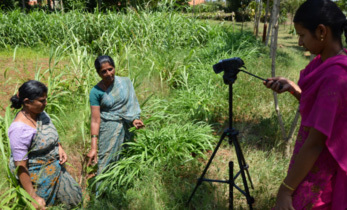 All these digital agriculture initiatives require a robust data infrastructure, which, when integrated with Aadhaar, will also make for a monitoring and evaluation system to track farmer incomes and implementation of various government programmes and subsidy-linked schemes. Private agri-business agencies should also be made meaningful partners in this endeavor. Two years have passed since the Prime Minister first gave the clarion call for DFI. 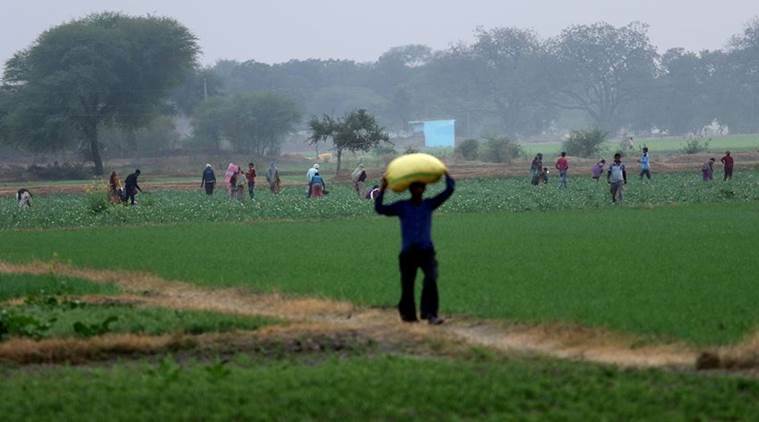 The latest Union Budget for 2018-19 has proposals taking this vision forward, while rightly emphasising growth in farm incomes, as opposed to just production. But for these to translate into results on the ground requires actionable strategies on the lines suggested. And there’s no time to lose!